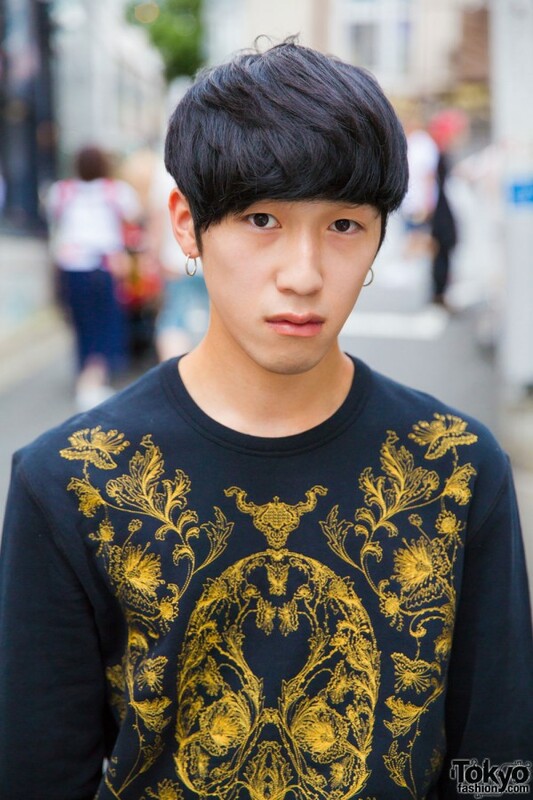 Katsuhiko is a 19-year-old student we met in the street in Harajuku. 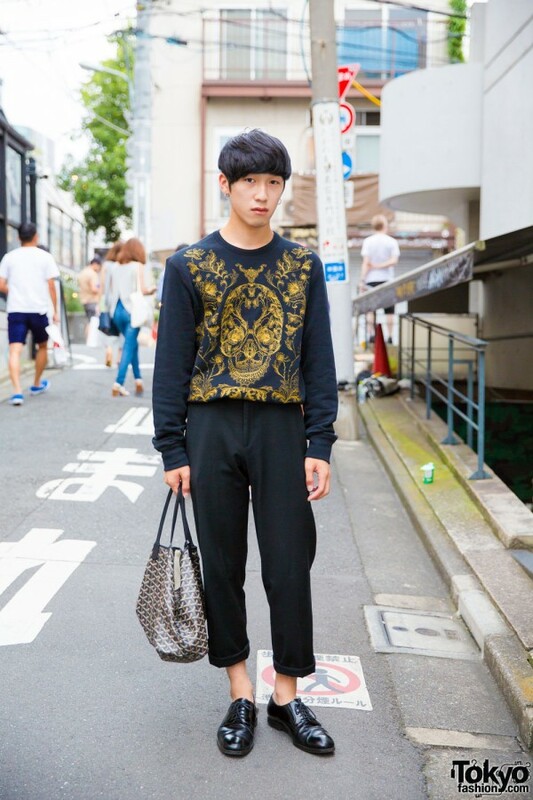 Katsuhiko’s ensemble consisted of an Alexander McQueen floral skull sweater, black cuffed pants from Prada, and leather dress shoes, also from Prada. 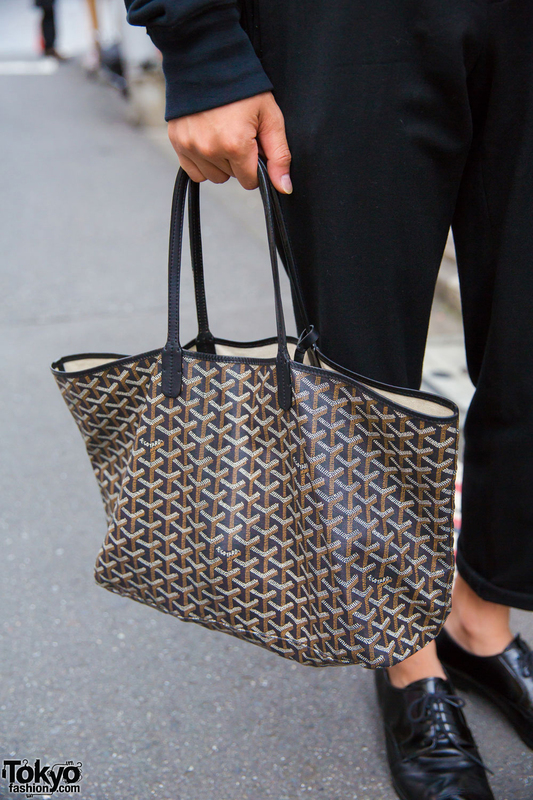 His accessories include silver hoop earrings, and a Goyard tote bag. 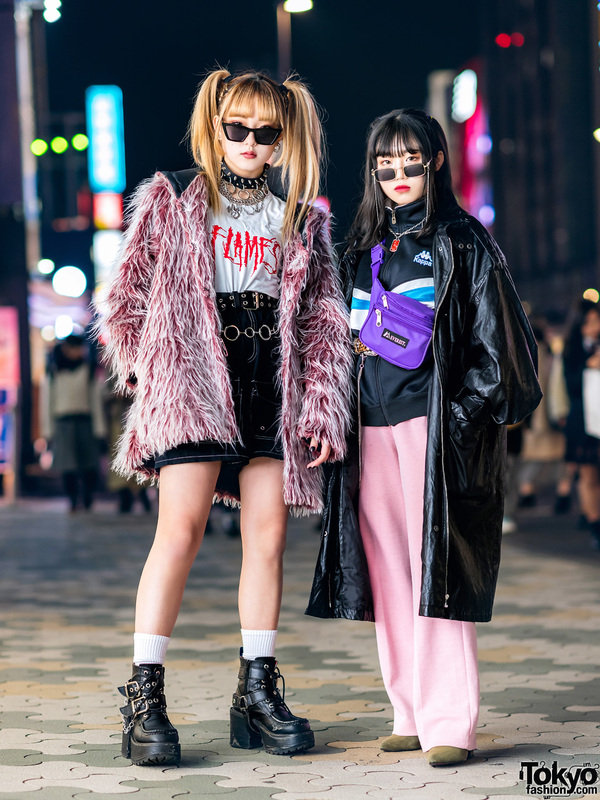 Katsuhiko loves shopping at Prada and Celine, and listening to K-Pop music. 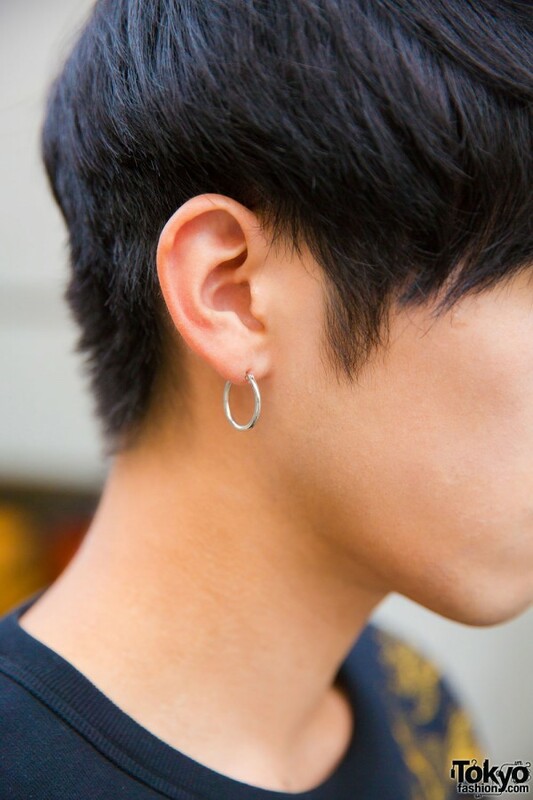 Follow him on Twitter and Instagram for his social media updates.